Inlanta Mortgage Partners - Award Archives - Inlanta Mortgage, Inc.
Inlanta Mortgage was recognized as one of the Fastest Growing Milwaukee-Area Firms at an awards ceremony at the Pfister Hotel in downtown Milwaukee. Headquartered in Brookfield, Wis., Inlanta Mortgage was established in 1993 and is currently celebrating its 20th Anniversary. The company has grown to 32 branches in 16 states and over 235 employees. Inlanta Mortgage provides its branches with Fannie Mae/Freddie Mac agency products, as well as a full suite of jumbo and portfolio programs. The company is an agency approved lender for Fannie Mae, FHA/VA, FHA 203K and USDA. The company’s branch and loan officer support platform provides high producing professional offices and loan officers with the latest technology and product menu focused on unsurpassed service and quality to both the consumers and employees. Inlanta takes pride in the highest level of honesty, integrity and ethics in all its business dealings. It is a member of th Mortgage Bankers Association, numerous state associations and Lenders One, the largest cooperative of mortgage bankers in the nation. Inlanta is an accredited member of the Better Business Bureau with an A+ rating. For more information on Inlanta Mortgage branch partnerships, please call Joe Ramis or Peter Salamone at 262-439-4260 or email partners@inlanta.com. For more information on Inlanta Mortgage loan programs and services, visit the company’s retail website at www.inlanta.com. 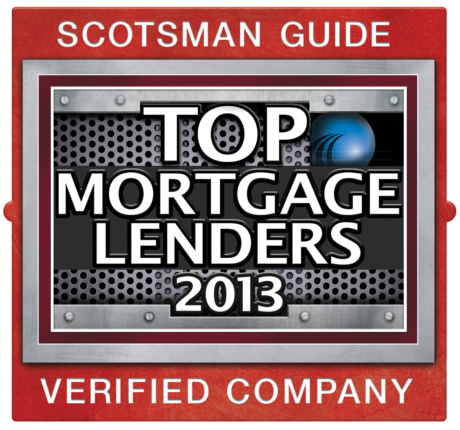 Inlanta Mortgage is proud to be named a Scotsman Guide 2012 Top Mortgage Lender. Inlanta was ranked #57 in Top Overall Volume. Inlanta Mortgage is currently celebrating its 20th Anniversary! Learn more about Inlanta Mortgage and its twenty-year history here. This award is based upon total USDA volume, which accounts for more than half of Laura’s total volume of more than 26 million – 16.5 million to be exact. Laura’s office is located in rural Wisconsin making the USDA Rural Development program ideal for most residents. The program is specifically designed to assist rural Americans achieve their dreams of home ownership. Laura expects 2013 to be an even better year. Laura has been originating U.S. Department of Agriculture (USDA) loans since 2004. Laura joined Inlanta Mortgage in 2012 and has access to experienced in-house underwriting, processing and funding teams. In addition, all Inlanta Mortgage branches receive support from marketing, compliance, accounting, human resources, and information technology. Headquartered in Brookfield, Wisconsin, Inlanta Mortgage was established in 1993. Inlanta is proudly celebrating its 20th Anniversary as mortgage lenders based out the Greater Milwaukee area. The company has grown to 35 branches in 15 states and over 220 employees with plans to extend operations into additional states. Inlanta Mortgage provides its partner branches with Fannie Mae/Freddie Mac agency products, as well as a full suite of jumbo and portfolio programs. The company is delegated FHA, VA, FHA 203k and USDA approved. Inlanta Mortgage was named a Top Workplace in 2012, has been listed on Mortgage Technology’s Top 25 Tech Savvy Lenders List in 2012, 2011 and 2010 and Milwaukee Business Journal’s “Top 25 Largest Milwaukee-Area Mortgage Banking Companies.” Inlanta Loan Officers have also been named as Milwaukee Magazine’s “Top Mortgage Professionals”. Inlanta has also received the Platinum Million Dollar USDA Lender Award and was a finalist for the 2010 Mortgage Technology Award. 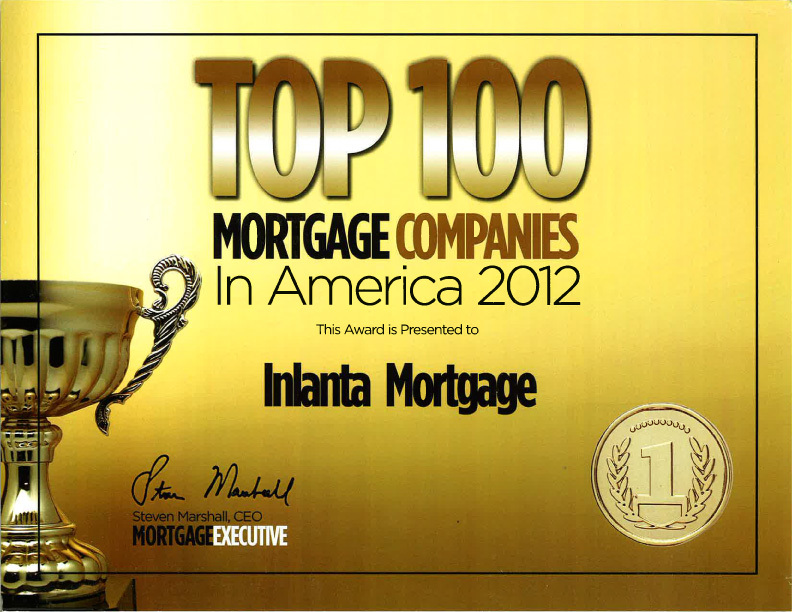 Inlanta Mortgage has also been named a Top 100 Mortgage Banking Company in 2012 by Mortgage Executive Magazine. Inlanta takes pride in the highest level of honesty, integrity and ethics in all its business dealings. It is a member of the Mortgage Bankers Association, numerous state Mortgage Bankers Associations and Lenders One, the largest cooperative of mortgage bankers in the nation. Inlanta is an accredited member of the Better Business Bureau with an A+ rating. For more information, please call Joe Ramis or Peter Salamone at Inlanta Mortgage at 262-754-4268, email partners@inlanta.com or visit the company’s main website at http://www.inlanta.com. This comprehensive list is composed of the nation’s top 100 closely held mortgage companies and banks as ranked by their total yearly mortgage volume. In putting together the list, the magazine seeks to recognize and celebrate the service, dedication, and hard work that mortgage originators, managers and executives put into building their companies and serving their clients. This year Inlanta ranked at number 85, moving up 14 spots from the previous year. In addition to being on the top mortgage company list, five Inlanta loan officers made the magazine’s top 1% of mortgage originators in America in 2012. Branch Manager Dennis DeGrave, Branch Manager Jim Snyder and Loan Officer Steve Kern, from the Pewaukee, Wis. branch made the list. Also listed were two loan officers from the Overland Park branch, Loan Officer Cindy Laffey and Loan Officer Tom Rosberg. In order to be eligible for this list, originators had to have a total personal production of at least $30 million in 2012. The magazine compiled the list to recognize and celebrate the service, dedication and hard work that leading mortgage professionals put into serving their clients during the home loan process. 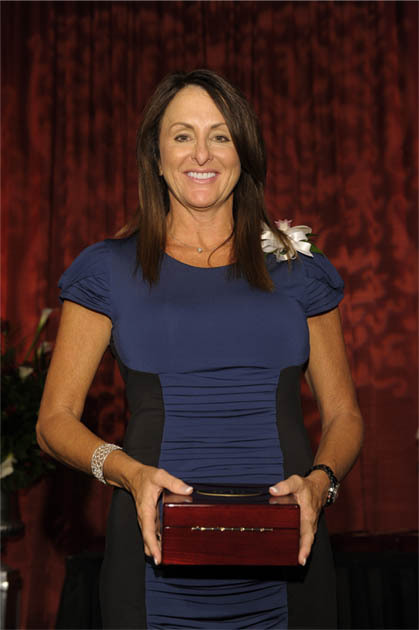 Inlanta Mortgage branch managers and recognized loan officers will celebrate their rankings at the Mastermind 2013 event in Las Vegas on June 5 and 6. 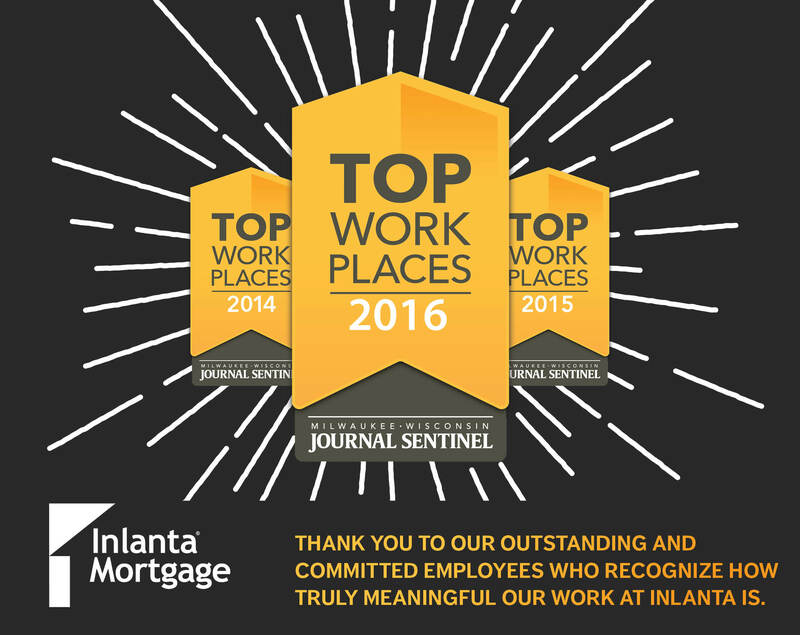 Inlanta Mortgage was named a Top Workplace in 2012, has been listed on Mortgage Technology’s Top 25 Tech Savvy Lenders List in 2012, 2011 and 2010 and Milwaukee Business Journal’s “Top 25 Largest Milwaukee-Area Mortgage Banking Companies.” Inlanta Loan Officers have also been named as Milwaukee Magazine’s “Top Mortgage Professionals”. Inlanta has also received the Platinum Million Dollar USDA Lender Award and was a finalist for the 2010 Mortgage Technology Award. Inlanta Mortgage has also been named a Top 100 Mortgage Banking Company by Mortgage Executive Magazine. The company’s platform supports high producing professional partner offices with the latest technology and product menu focused on unsurpassed service and quality to both the consumers and employees. Inlanta takes pride in the highest level of honesty, integrity and ethics in all its business dealings. It is a member of the Mortgage Bankers Association, numerous state Mortgage Bankers Associations and Lenders One, the largest cooperative of mortgage bankers in the nation.